Following his presentation at the Rio ICOM Conference, the treasurer of EXARC Luc Eekhout was invited to Basel. Mrs. Marie-Paule Jungblut, the director of the four historical museums of this Swiss city, was interested in how to work with a substantial volunteer group. These four historical museums are: Historisches Museum Basel, Museum für Pferdestärke (horse power), Museum für Wohnkultur (living culture), Museum für Musik. They are run by a staff of 100 professionals. In the morning the management team discussed the way in which volunteers could be valuable to the organization and how the professional staff could develop a way in which the two groups could co-operate. We discussed the initial idea that the volunteers should be a separate ‘regiment’ with its own management. Some EXARC museums however embrace the formula that volunteers are integrated in the organizations, as individuals working under the guidance of professionals. This approach is formalized in Eindhoven Museum (The Netherlands). There a staff member is designated to do the headhunting of volunteers and trainees, introduce them to the museum organization, and do the administration of their contracts and other regulations. After their introduction the trainees and volunteers work in the various teams in the museum, under the management of a professional. We discussed the fear of some professionals, that volunteers would take their place and the museum could economize on salaries. On the other hand we recognized the advantages of building a network in society, to the (political) benefit of the museum. And we should recognize the difference in interests, and thus of approach of paid and unpaid staff. In EXARC many museums originate from volunteer projects and this history defines their approach to and valuation of unpaid assistance. In the ‘classical’ museum world many organizations have a long professional tradition and they fear an amateur approach from volunteers. How to bridge the gap between these two ‘worlds’? Small scale pilot projects seemed to be the answer. In the afternoon the director and the Board of the horsepower (carriage) museum brainstormed with the EXARC treasurer. This time the approach was different. Could volunteers be used to position a museum more in the centre of the local community? In Basel scientists were volunteering in research. But what about catering staff? Students? Educational assistants? Could amateurs be an asset to a fairly closed organization as a professional museum can be, in the way that they stimulate the interaction with the rest of the world? Again we felt the tension between the somewhat defensive professionals and the eager amateurs. Is there a challenge for the professionals to train the amateurs, and on the other hand to accept different views on their professionalism? The interaction between the volunteer approach, as EXARC know so well, and the – traditional -view of museum professionals proved to be an exciting subject to discuss. 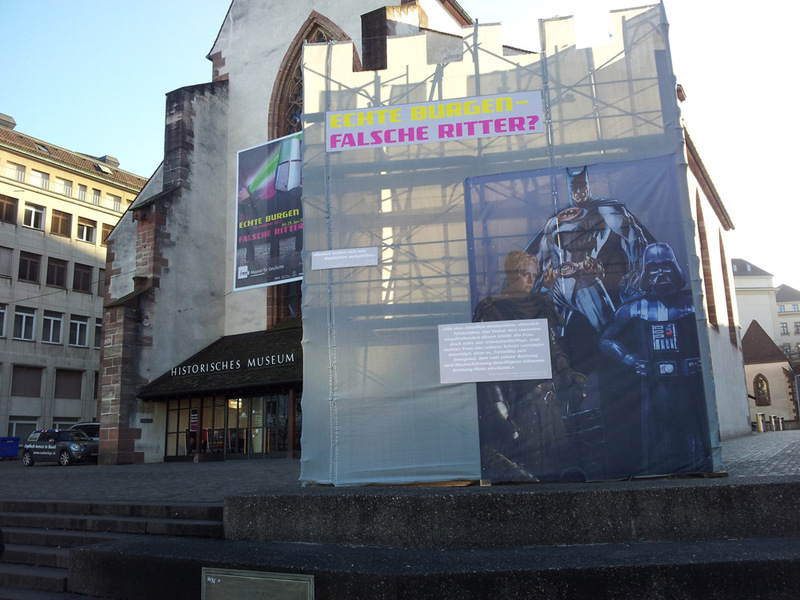 The Basel Museums sought the confrontation in inviting an EXARC member for discussion. Are there more EXARC members to follow, in organizing discussions with their neighbour museums?